Our next meeting will be one week earlier than usual, on April 20, 2019, at 10:00 a.m. at the Johnson County Central Resource Library. Iveta Blahútová from the Midwest Genealogy Center will be our presenter, and the topic will be "Researching Your German Ancestor". Do you have a German ancestor? In this presentation, you will learn the basic methods for how to begin your journey into German genealogy research. A brief history of Germany and former German lands will be presented, reasons for emigration, three immigration waves, key points in your research, resources available at the Midwest Genealogy Center (MGC) in Independence, Missouri, and online to help you with your genealogy research. And what to do if you are stuck? You may hear a few suggestions where else to look for records to move your research forward. The map as a great tool, technique of how to deal with foreign records and foreign names, name changing, this entire introduction may add to your success. In addition, the German websites, German Archives, and German records accessible online, will be introduced, as well. At the end of this class, you should have a basic knowledge of how to start, where to find resources, where to look for records in the US and overseas, for being proficient in German research. 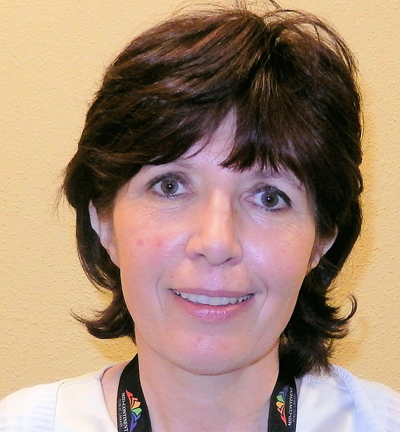 Iveta Blahútová is a Genealogy Research Analyst at the Midwest Genealogy Center (MGC) in Independence, Missouri. She has been interested in genealogy for many years. Beginning in 2011 has been assisting patrons of MGC with their genealogy research, especially those with a connection to Central and Eastern Europe. She is also a moderator of the German Genealogy Discussion Group established at MGC. Iveta fully embraced this new direction in her career at MGC. There is always something new to learn, either by tracing her own family tree, or by exploring the resources MGC has to offer. She is a native of the former Czechoslovakia and she has lived in both, Slovakia and the Czech Republic. She is a graduate of the Comenius University in Bratislava, Slovakia, Faculty of Law. Her focus since high school years has always been history, social studies, law, history of law, old manuscript, languages, and lately etymology. She is an active member of the Czech and Slovak Club of Greater Kansas City. In addition, she is a member of the National Czech and Slovak Museum and Library in Cedar Rapids, Iowa. Her hobbies are reading, mountain hiking, and cross-country skiing. 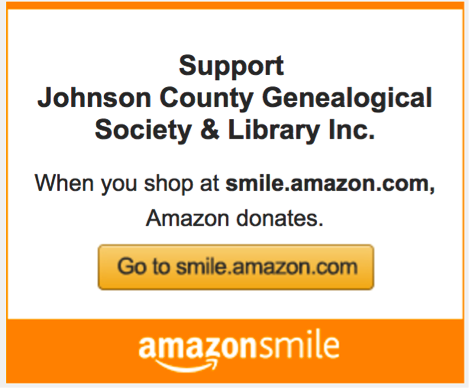 JCGS volunteers are available Monday - Saturday from 9-5 at the Genealogy Desk at the Johnson County Central Resource Library for general questions. For those looking for a little extra help with either Basic Genealogy or DNA & Genetic Genealogy we also offer free one-on-one sessions that can be booked in advance. If you would like to sign up for an appointment please use the appropriate button below to view the available appointment times and make a reservation. We are currently using SignUpGenius for our reservations, which has ads displayed on their website. If you would prefer to not use SignUpGenius, you may also email libraryvols@jcgsks.org with your requested date and time. Basic Genealogy sessions are available most Tuesday mornings. This is not for brick wall or advanced research help. DNA & Genetic Genealogy sessions are available most Friday mornings. 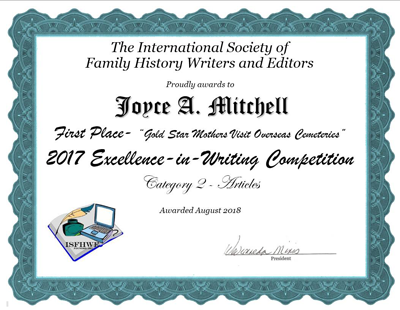 Congratulations to Joyce A. Mitchell, JCGS member, for her first-place award from the International Society of Family History Writers and Editors. The award-winning article, "Gold Star Mothers Visit Overseas Cemeteries," appeared in the September 2017 quarterly on page 7. Joyce has been a regular contributor to The Genealogist since 2014. Lately she has researched and written a WWI series, focusing on men from Johnson County who served in that conflict. At other times, she contributes an article just because the topic is of interest to her. In addition to her writing, she works behind the scenes as a proof-reader for the quarterly and spends a lot of time finding the little things we miss, thus making us look good. We were thrilled when we heard she had won an award and are thankful for all her contributions to JCGS. In honor of her award, the full September 2017 Quarterly is available to everyone by clicking here. Other issues of our Quarterly can be accessed on our website by current members of JCGS. To become a member, please click here. donate money to our society. We have created a tech tip for you to follow in order to set this up. No gimmicks, just free money for us. It's like picking up loose change. It works exactly like your regular Amazon account but you must log in at smile.amazon.com. Go to the tech tip area found under members here to view the directions. JCGS received a very nice present in the mail some time ago. 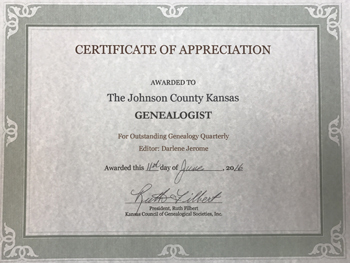 Out of the blue, the Kansas Council of Genealogical Societies awarded Our Quarterly, The Genealogist, and Darlene Jerome, the editor, with an "Outstanding Genealogy Quarterly" award. Kudos to our Quarterly crew, Darlene, Joyce Mitchell, and new Co-Editor, Marsha Bennett. If you are a current member or are joining JCGS you will automatically receive the email notices and do not have to sign up here. This sign up is for visitors.